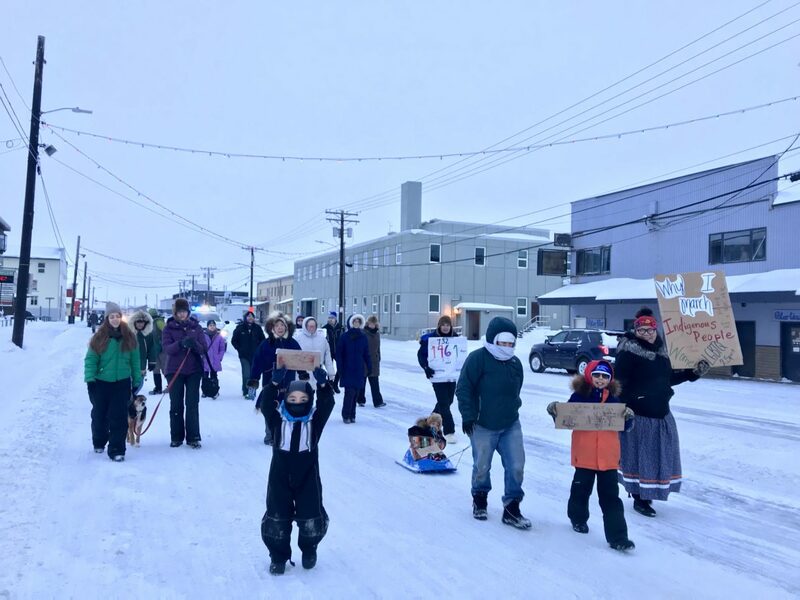 Around 25 Nome residents marched in Nome’s third annual Women’s March on Saturday. The group marched down Front Street and north up Bering Street to Old St. Joe’s. That’s Nome resident Fawn White, this year’s organizer. When she realized last week that plans hadn’t been made for this year’s Women’s March in Nome, White rushed into action to organize the event. Nome’s Women’s March joined thousands of others marching around the world on Saturday. Image at top: Nome folks march up Front Street on Saturday, January 19, 2019, for the third annual Women’s March. 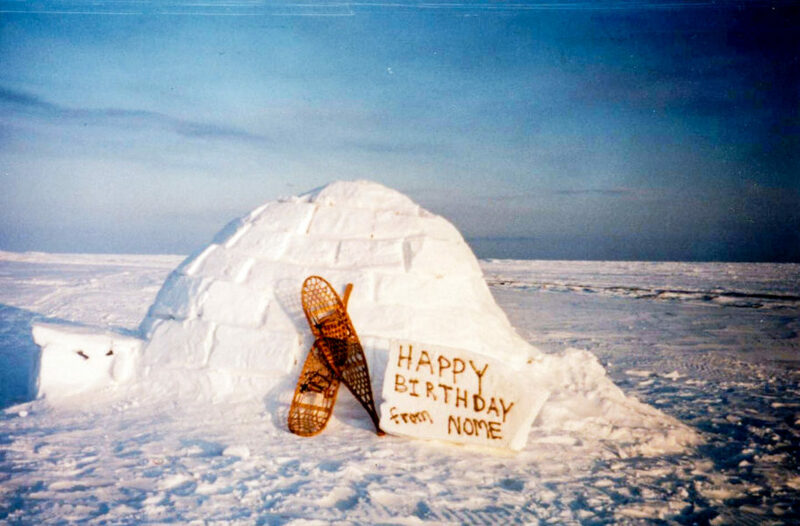 In true Nome fashion, a child donned in a parka is pulled on a sled. Photo: Katie Kazmierski, KNOM.